Brith Certificate Assam Apply Online For Delayed Birth Registration in Assam, are you looking for Delayed birth registration in Assam then here is the application process of Birth Certificate Assam. In this article, I wanna tell you how to get delayed birth certificate in Assam. 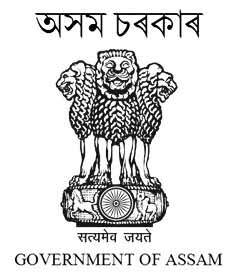 For delayed birth certificate Assam registration, you have to take permission from the administration from Assam govt. Birth certificate Assam application process I am telling you how do you apply for Birth Certificate in Assam. 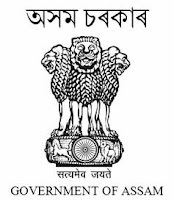 For a delayed birth certificate in Assam, you have to take permission from the administration department of Assam Government for that you must apply through online mode on E-district Assam. First, you should create an e-district ID through Assam Government official website link mentioned below in Important Links section. Click here to know about e-district ID generate. What is Delayed Birth Certificate in Assam? A birth certificate is a most important document for your child. For your newborn child you have to take a birth certificate from Hospital; If your child born in the home then you have to go a government hospital to collect your newborn child ’s birth certificate by showing doctors delivery card report between 21 days. The delayed birth certificate is called who cross the 21 days limitation for making a birth certificate for your child from the nearest hospital. For the delayed birth certificate purpose, you have to take permission from the administration department government of Assam. After approving your permission you can take the birth certificate from any government hospital by showing Deputy Commissioner (DC) permission. How to get ration card Assam. School Certificate/Admit Card ( for age 6 and above ) or parent's details. Register Hospital Govt. / Pvt. Certificate: for the hospital certificate, you should collect the certificate form from your block/circle offices Form No.1 birth report and Form No.10 Non-Availability Certificate. School details or Parent's details: You can give a school certificate if six years old your child otherwise you should give parent's details as like voter id, voter list, village headmen certificate etc. Affidavit: For affidavit, you can collect from Court. Any other document: You can provide Revenue receipt, legacy data etc. How To Apply Online For Birth Certificate In Assam? First, go to e-forms Assam click here. Upload all documents as mentioned.